A blend of arugula, frisee, mache, radicchio, mizuno, and red leaf lettuce served with balsamic vinaigrette dressing. Potatoes, celery, onions, and carrots tossed in a creamy dressing and garnished with chopped parsley. 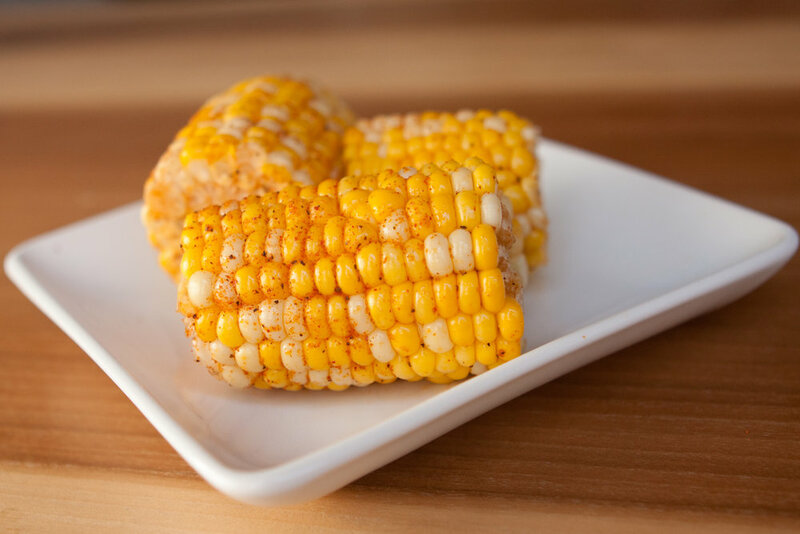 Tender, sweet corn brushed with our signature rub and housemade garlic oil. Sweet potato candied in brown sugar with butter, cinnamon, and nutmeg. Organic quinoa, chopped walnuts, parsley, cucumber, carrots, dried cranberries, and crumbled feta cheese tossed in balsamic vinegar and house made garlic oil. 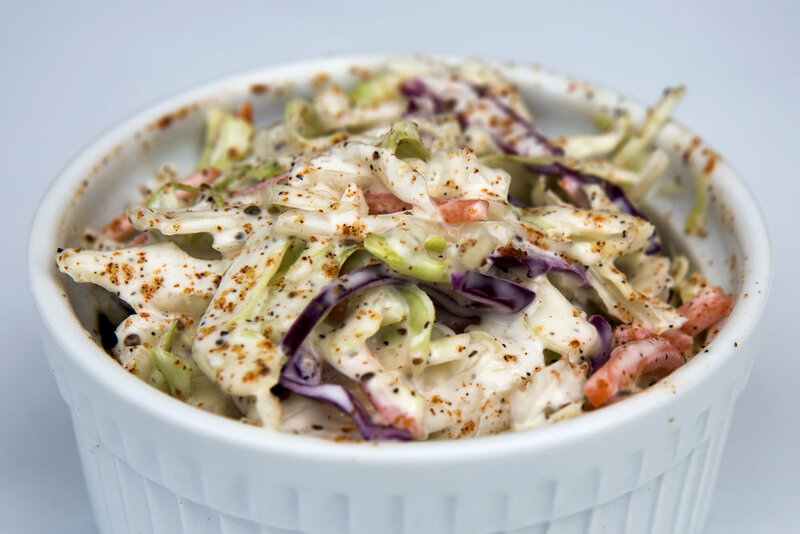 Crisp red and green cabbage mixed with shredded carrots and combined with a creamy house made dressing. 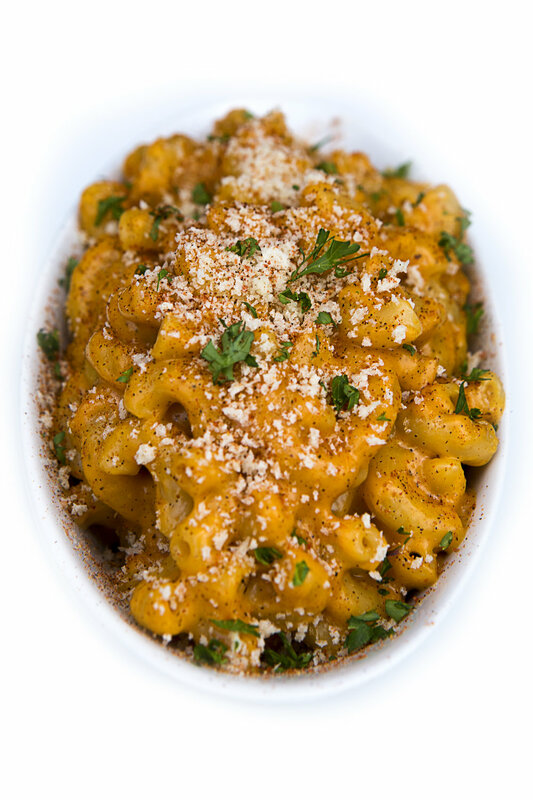 A mixed blend of cheese and macaroni noodles. 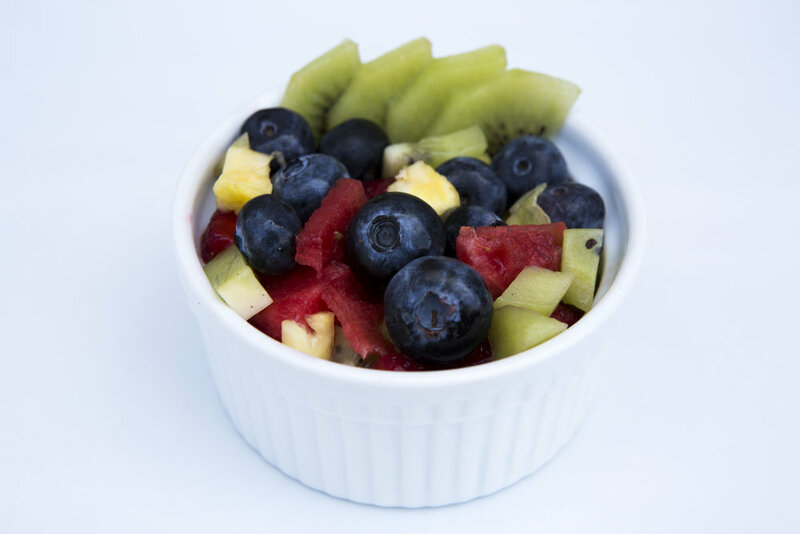 A seasonal mix of fruits and berries. Cremini mushrooms braised with balsamic vinegar, house made garlic oil, marsala wine, and our signature rub. Roasted beets tossed in balsamic vinaigrette dressing and topped with baby arugula and crumbled feta cheese. Stewed with apple-wood bacon, our signature rub, brown sugar, and house made sauce. 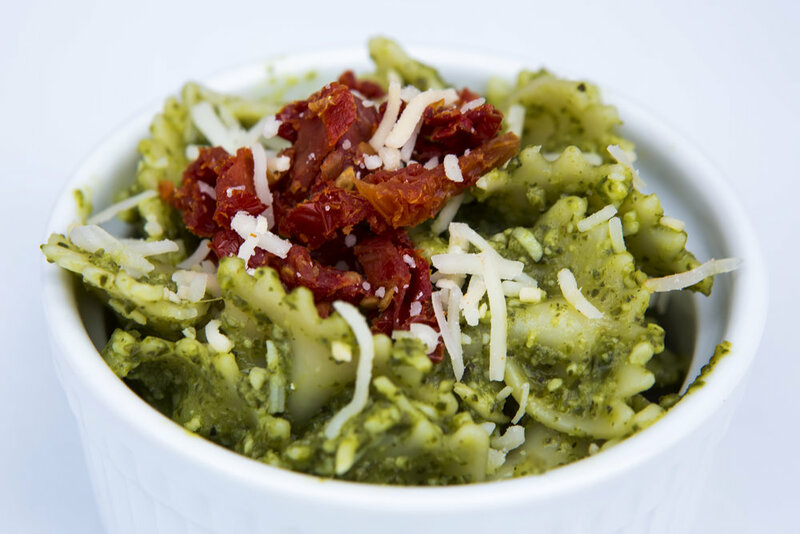 Genovese-style pesto and sun-dried tomatoes topped with Parmigiano-Reggiano cheese. 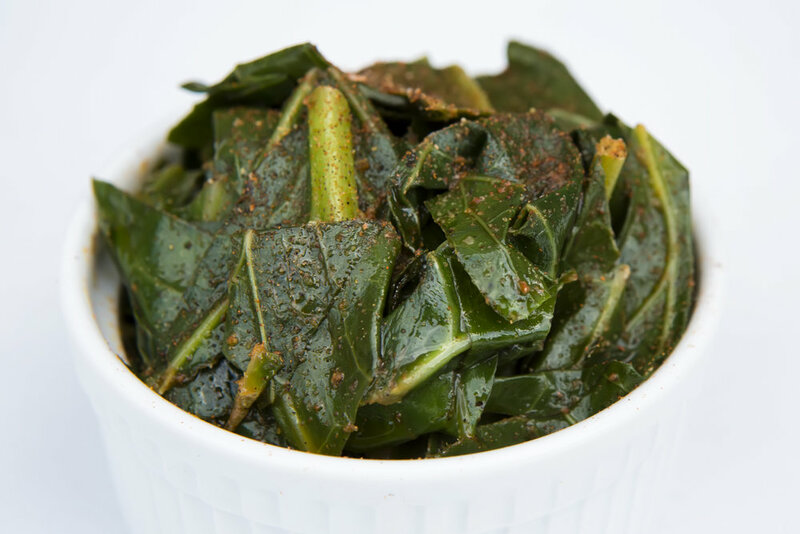 Collard greens braised in vegetable stock and finished with house made garlic oil, red wine vinegar, and our signature rub. Spinach, feta cheese, dried cranberries, and crushed walnuts served with a balsamic vinegrette dressing. 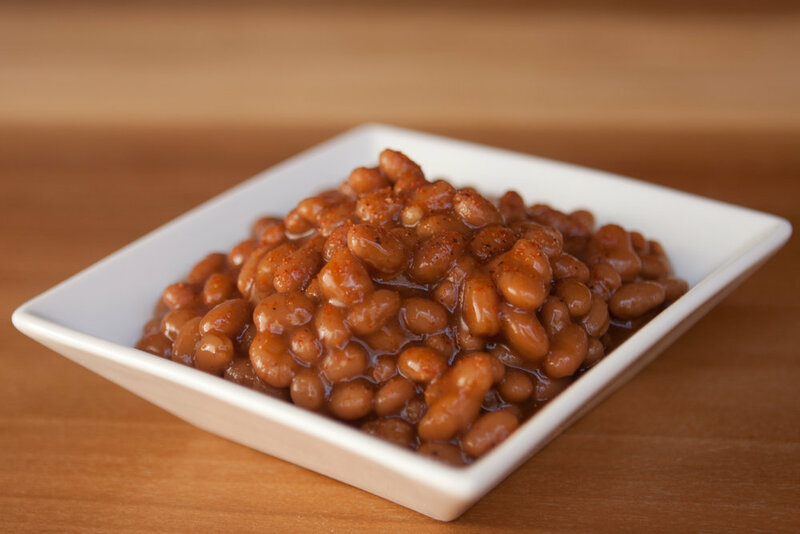 Trimmed haricot verts raw in house made garlic oil, balsamic vinegar, and our signature rub.